Tastefully done interiors with subtle shades tell a story. 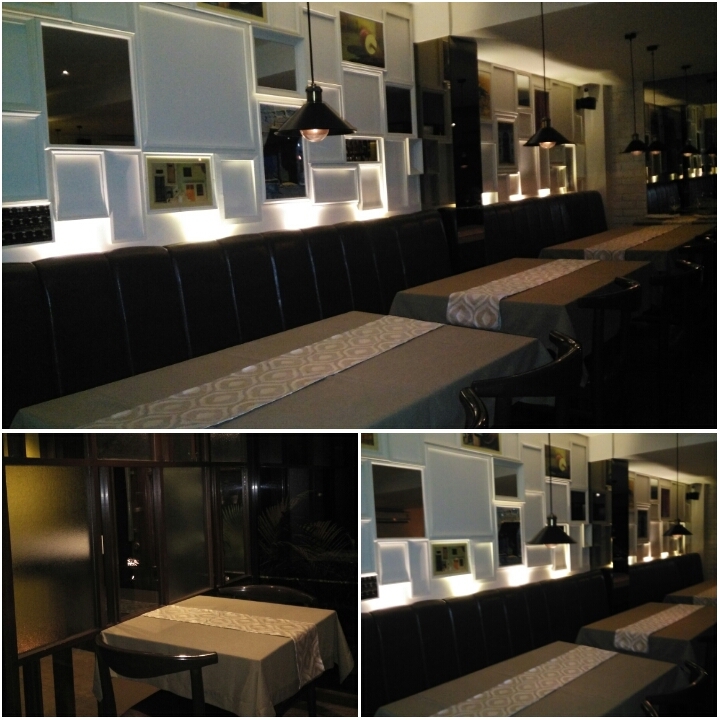 Softly lit, relaxing ambience, comfortable seating, music playing in the background and a bar sprawling in one corner makes it an ideal place to dine and unwind. Every table is first served with some Crispy Roomali Bread with a dip. The dip, I was told keeps changing everyday. We were served the Garlic one which was good. Its staple for every table, no matter what you order, it will be served to you. And I can be sure, you will ask for more *winks*. 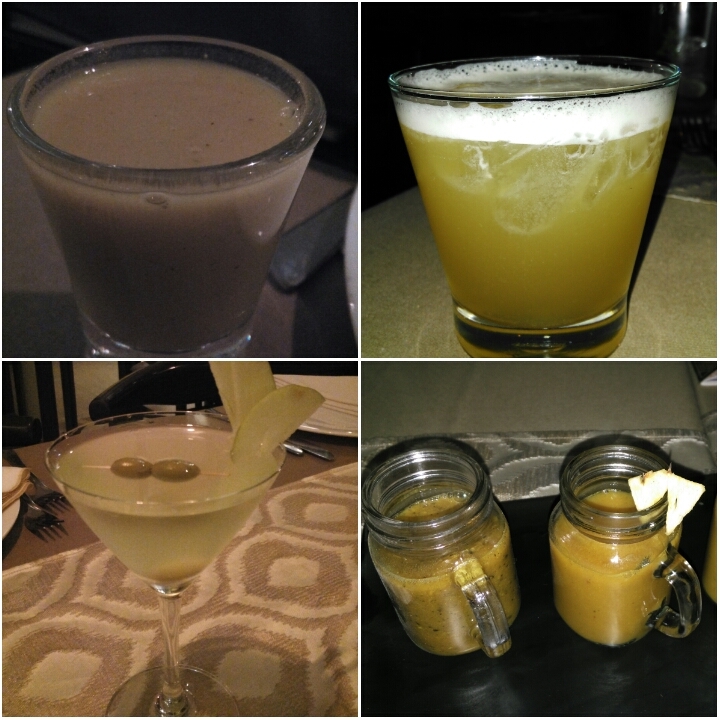 As per the cocktails, Green Apple with Olive twist, Whisky Sour are a must try. The smoothest concoction of whisky with pineapple. They also offer Jaljeera and Lentil Soup in shot glasses to help with the digestion of food. Rasam da Tashan is basically Rasam in different flavors. Served in little glasses. Pineapple one turned out to be the best amongst the others. 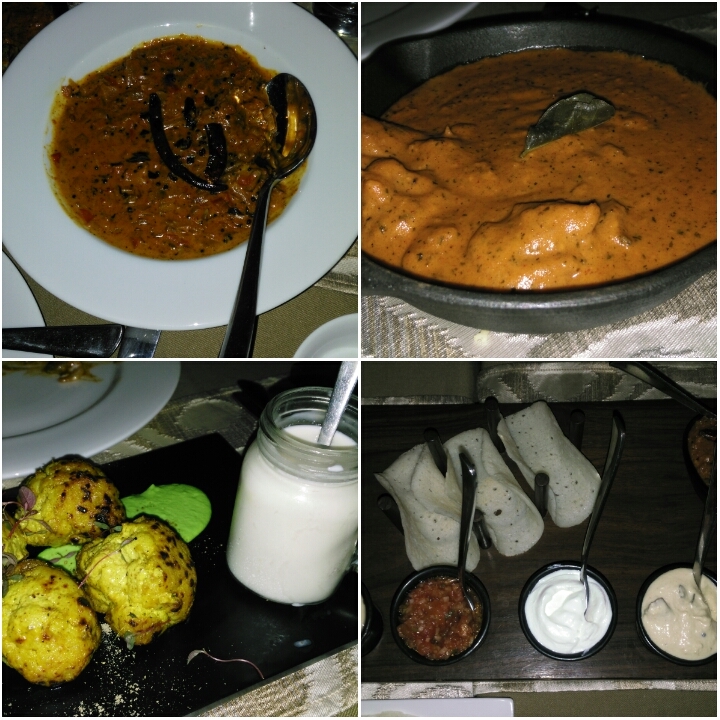 Tashani Taco is a platter of Soya Keema and dosas with Coconut dip, Salsa, Cheese Fondue, and Sour Cream. The platter is pretty basic, yet the way the it was presented and the taste of dosas with soya keema accompanied by other dips, raised the standards for me. Tandoori Gobhi (Cauliflower) was soaked in Pickeld Masala gave my palate a good tickle. Accompanied with Smoked Lassi beautifully presented in a little pot of glass. 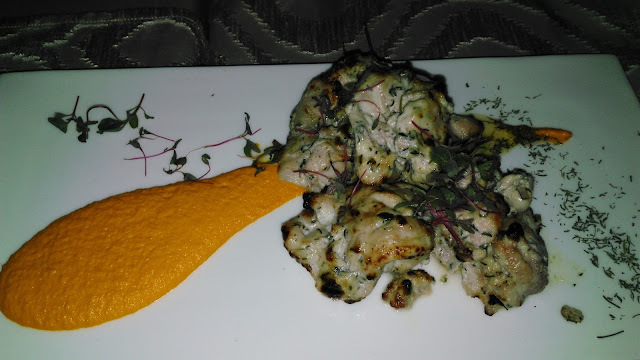 For the mains, Thyme Chicken, Lemongrass Butter Chicken are classic and add delight to the palate. If your a Vegetarian, you will enjoy the Dal Peshawari, Rajasthani Gatta and Gatte di Punjabi Kadhi. All of this paired with Tandoori Roti, Pudina and Methi Parantha. Mr Adya makes sure he takes your feedback and visits every table. Bhuni Roti Ka Halwa which was my favorite from Rajasthan. Crumbled McVitis biscuits with chunks of Ghee formed into a Halwa. One bite, two bite and you might never stop. Mr Adya riddled us to guess the procedure and the guessing made us enjoy even more. This one dessert will make you Content after a good course meal. 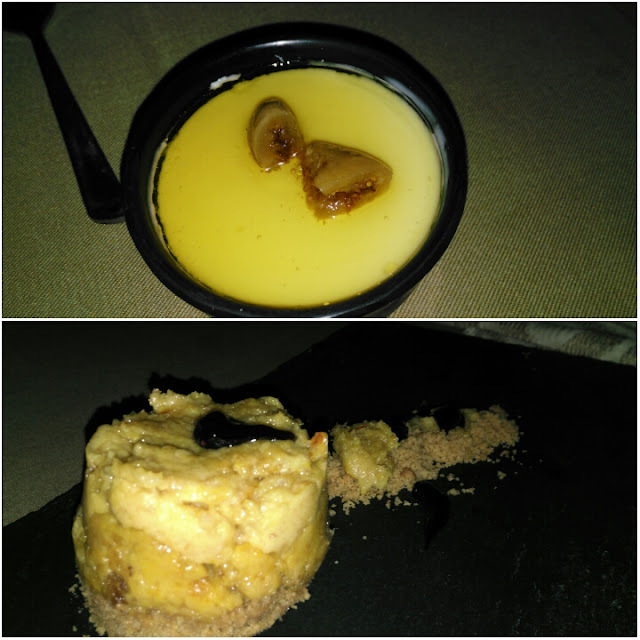 Next came Baked Yogurt with honey fig, which was bit too sweet for me.